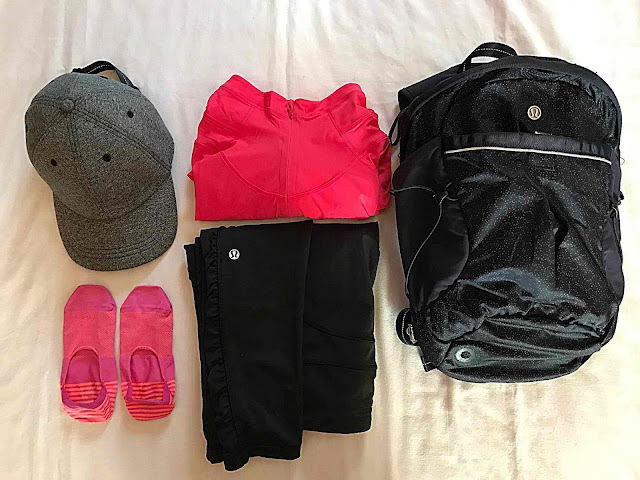 Lululemon makes a variety of running accessories & bags. They have 2 running backpacks that I will review, the Run From Work and the Run All Day backpacks. Read more below! 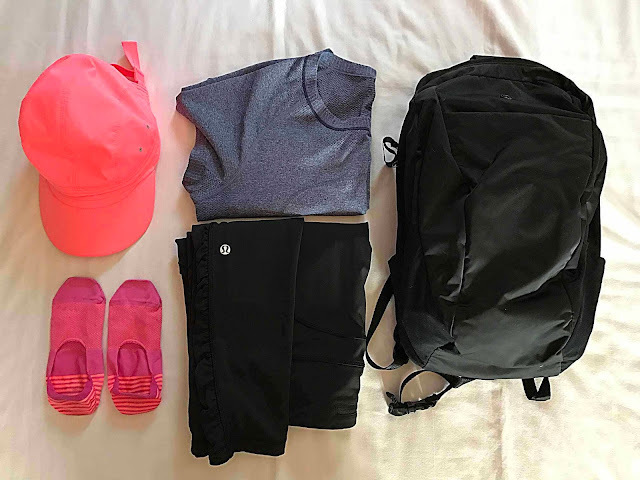 The Run From Work backpack is a lightweight running pack for toting essentials on a run or hike. 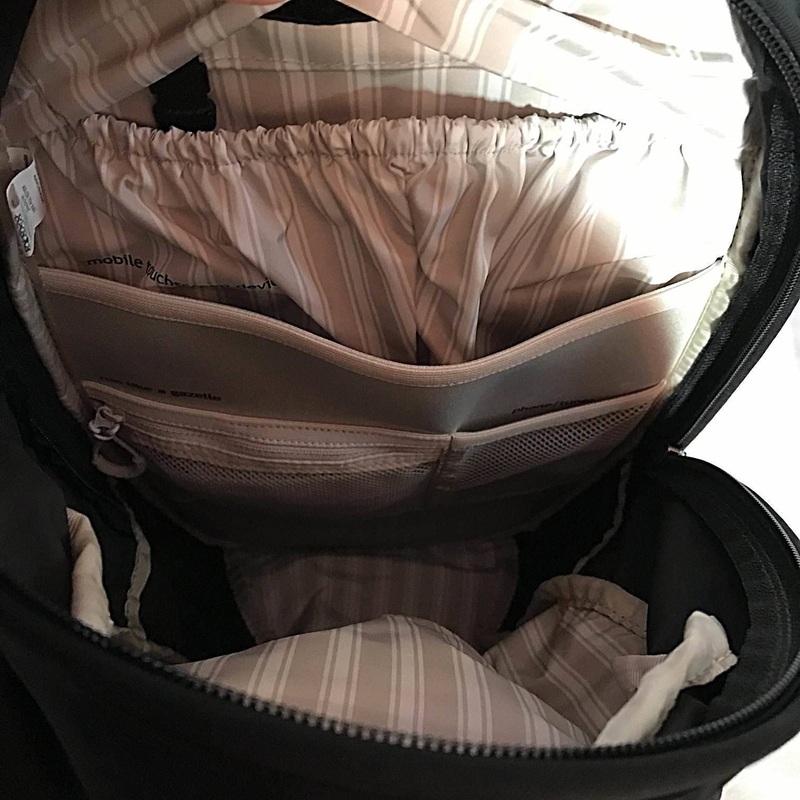 It has a waist strap to secure the pack when running. 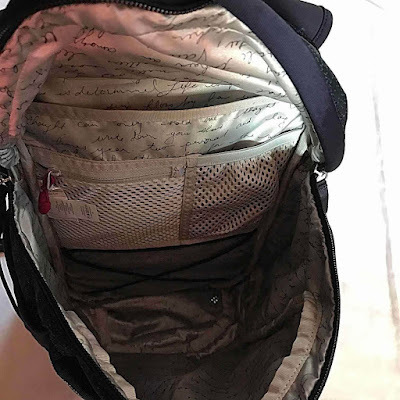 It has a bungee cord in the outer pocket to help store your gear. The internal pockets hold a laptop/tablet, a water bladder pouch & storage for everything else. The shoulder straps are mesh to allow for airflow. The Run All Day backpack is lightweight and perfect for running, hiking & commuting. It is reflective all the way around it to help you be seen in low visibility. It has lots of pockets to stash gear & daily essentials. Includes a pocket at the back for a laptop or tablet. The fabric is water-repellant for those times of being caught in the rain! Includes a waist strap to keep the bag close when running. 16.5" x 9.5" x 6"
Both backpacks are great for running, hiking and day-to-day needs. The Run All Day backpack has 360 degree reflectiveness. The Run From Work backpack has mesh straps. 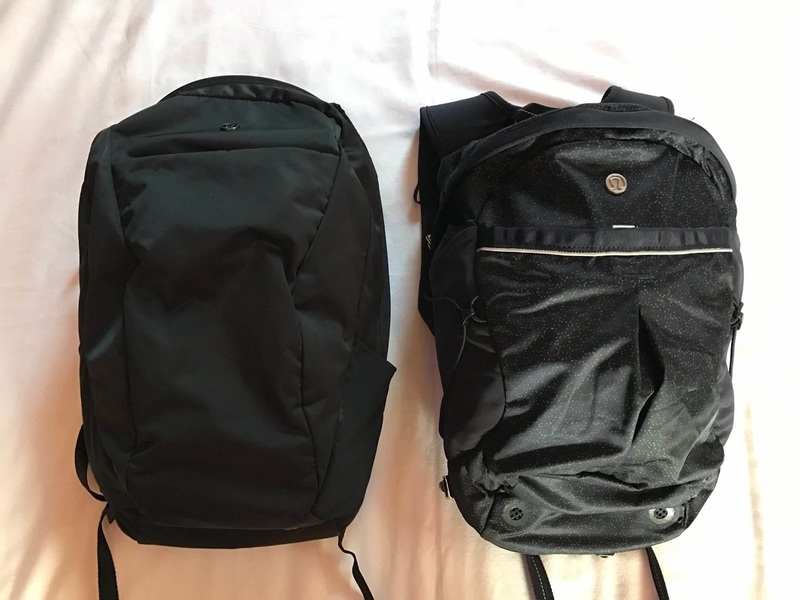 The Run All Day backpack is slightly larger than the Run From Work backpack. Both held up well during a variety of workouts (running, hiking, gym use) and held a lot of items. Check them out for yourself! I was not asked to write this review. I personally purchased these products without any compensation. All opinions expressed are from my personal experience with the items.